Cotton plants have flowers that resemble hibiscus and seed pods that you can use in dried arrangements. 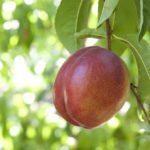 Your neighbors will ask about this attractive and unique garden plant, and they won’t believe it when you tell them what you’re growing. 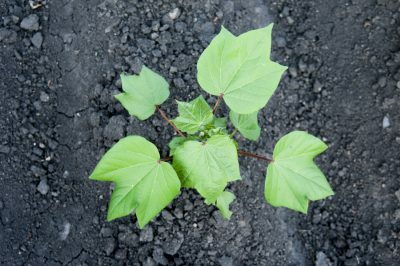 Find out how to sow cotton seeds in this article. Before you begin, you should know that it is illegal to grow cotton in your garden if you live in a state where it’s grown commercially. That’s because of the boll weevil eradication programs, which require the growers to use traps that the programs monitor. The eradication zone runs from Virginia to Texas and as far west as Missouri. Call your Cooperative Extension Service if you aren’t sure whether you are in the zone. 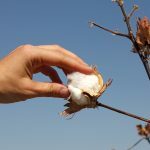 Plant cotton seeds in a location with loose, rich soil where the plants will receive at least four or five hours of direct sunlight every day. You can grow it in a container, but the container must be at least 36 inches deep. It helps to work an inch or so of compost into the soil before planting. Putting them in the ground too soon slows germination. Wait until temperatures are consistently above 60 degrees F. (15 C.). It takes 65 to 75 days of temperatures above 60 degrees Fahrenheit for cotton to go from seed to flower. The plants need an additional 50 days after the flowers bloom for the seed pods to mature. 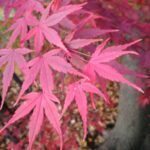 Gardeners sowing cotton seeds in cool climates may find that they can bring the plants to flower, but don’t have enough time remaining to watch the seed pods mature. Sow the seeds when the soil temperature is close to 60 degrees F. (15 C.) first thing in the morning for several consecutive days. If the soil is too cool, the seeds will rot. Plant the seeds in groups of 3, spacing them 4 inches apart. Cover them with about an inch of soil. Water the soil so that the moisture penetrates to a depth of at least six inches. You shouldn’t have to water again until seedlings emerge. Read more articles about Cotton.